[az_accordion_section] [accordion title=”History” id=”acc-1″]45 year old male presents to the Emergency Department following a fall from ladder. 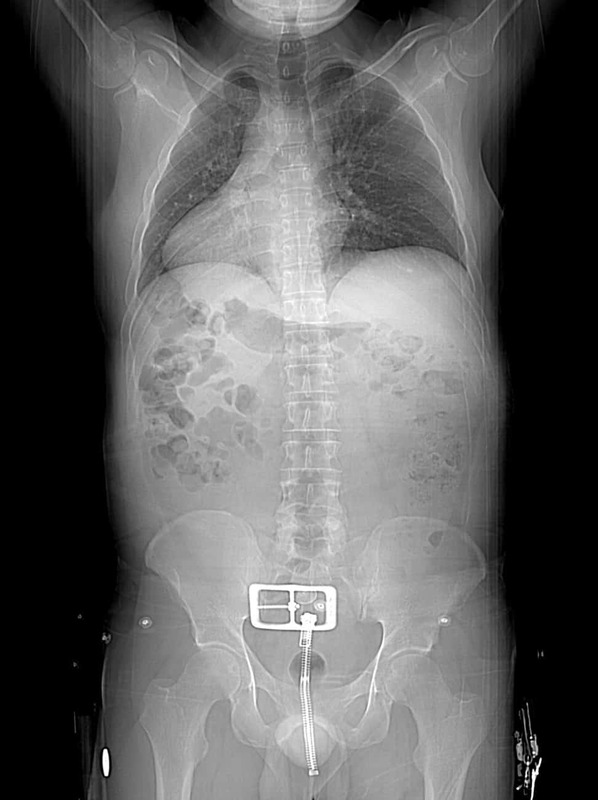 [/accordion] [accordion title=”Answer” id=”acc-4″]The PA chest xray and supine CT scout image demonstrate stigmata of situs inversus viscerum. 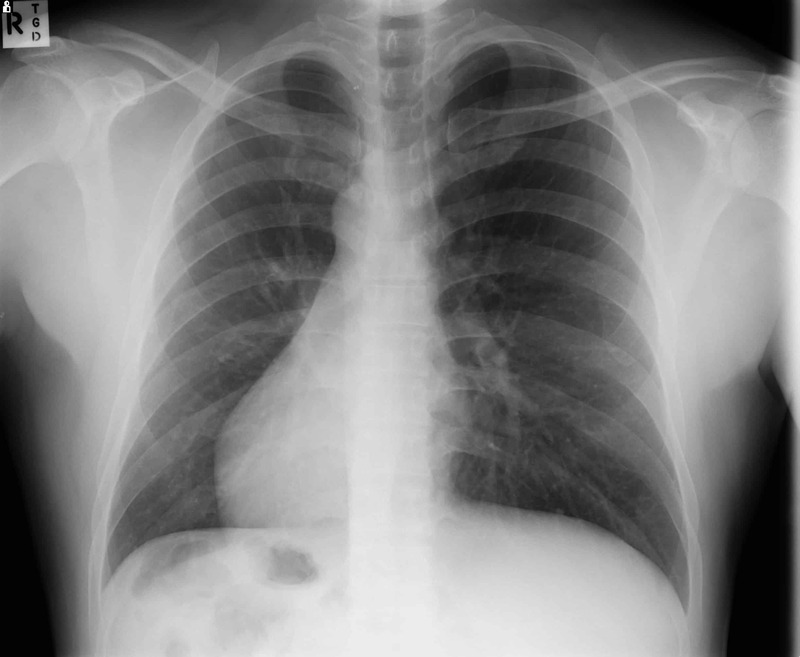 Situs inversus viscerum is a congenital condition in which the major internal viscera are reversed or mirrored in their location compared to normal (situs solitus). It’s prevalence is 0.01% or 1 in 10 000.